There is something that just screams summer about lemonade and limeade. Growing up my family had big summer picnics. My mother was the oldest of 12 so there was always tons of things to eat and drink. To this day I think of my family when I have picnic foods. During the summer I always seem to have a large amount of leftover lemons and limes. More often than not the price of a bag of limes is less than buying 3 or 4 individually. So I buy the bag and then I have 7 limes leftover after I make my recipes for the week. Too many times I have just let them go bad on the counter. Then last year I thought to myself, what a waste. So I made limeade. It was refreshing and a wonderful way to use leftover limes. Last week I tried a new recipe for Limeade from Martha Stewart. This recipe has 3 ingredients. It takes 10 minutes of total time, all of which is active and makes 6 servings. I only made a few changes to the original recipe. I used a juicer for the limes, my hands aren't that strong. For the sweetener I used sugar. I found that only using 1/2 cup of sugar wasn't as sweet as I would prefer so I added 1/4 cup more. The recipe would also work very well with honey. I am a big fan of limeade. This recipe had a nice tart and sweet combination. I was a big fan of this recipe, my kids liked it, but they preferred the homemade lemonade that I made the day before. If you like your limeade sweet, I would suggest adding more sugar. If you like it more on the tart side than I would follow the recipe as written. For the recipe go to Homemade Limeade. 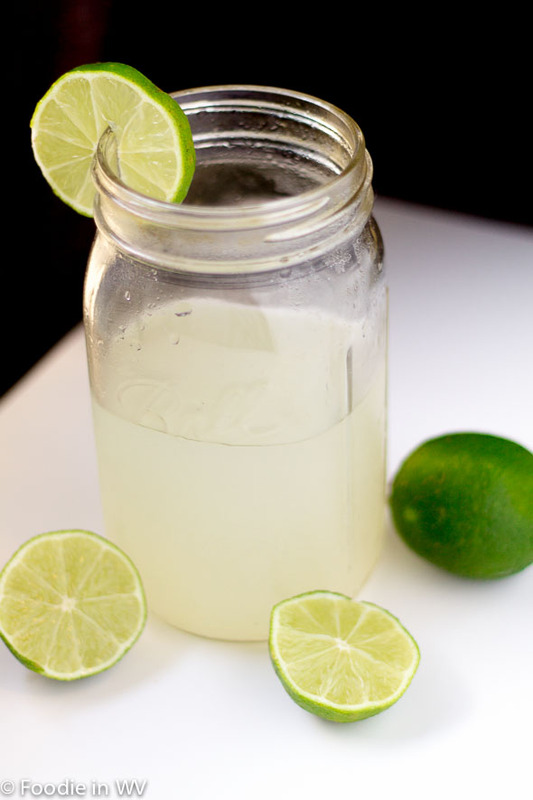 A 3 ingredient recipe for limeade. A great way to use leftover limes. I like Limeade!! I love these pics too, those stairs are amazing. 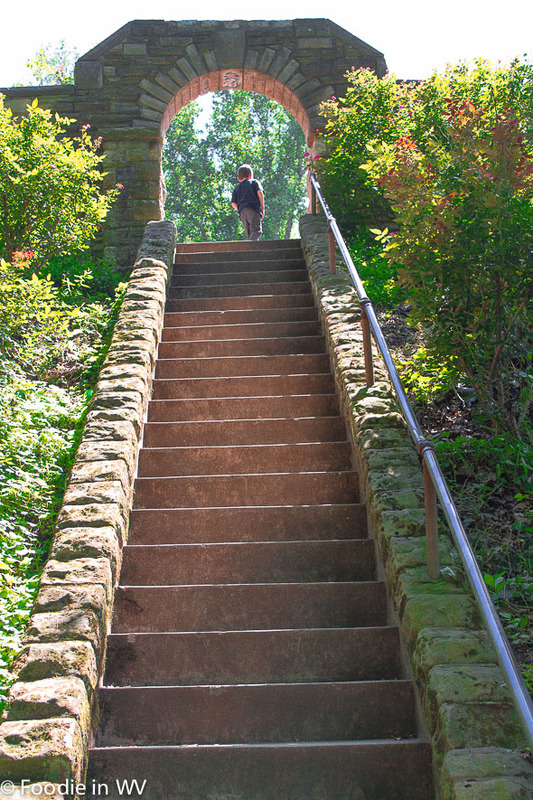 The stairs are one of my favorite things in my town. They are so beautiful! Also love a chilled glass of lemonade in summer. So refreshing! My family LOVES limeade and my daughter loves the idea of juicing from scratch! I think this is a win-win for us! Thanks Foodie! Juicing from scratch is a great way to save money and tastes so good! I love limeade! And I don't think I've ever been to a picnic other than the ones I've had with my own kids. It's kind of sad, actually. I came from a huge family so picnics were nice since it was hard to get everyone together indoors since there were so many of us :) Plus Seattle has a ton of big parks, which is really nice for having outdoor parties. It's a beautiful city to grow up in! we love both lime and lemonade around here! We do too, especially in the summer! 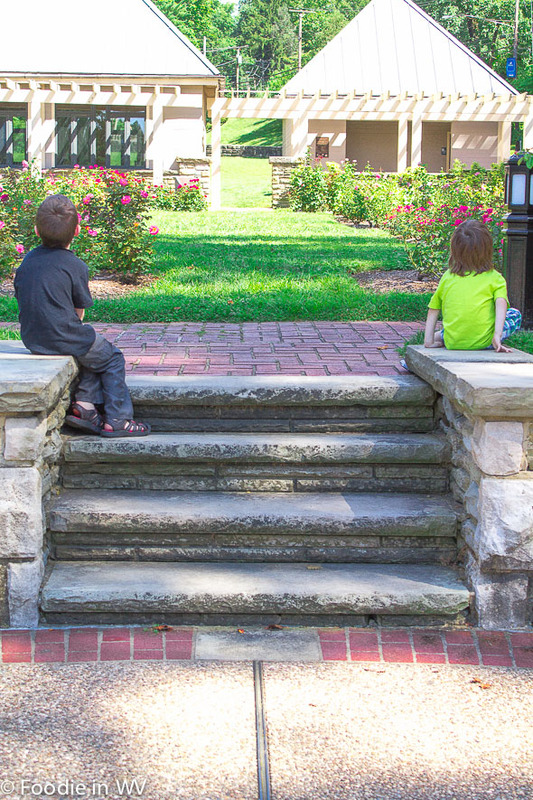 Lovely photos of the park and the kids. I love lemonade in the summer and have a pitcher in the fridge all the time! I love it in the summer too, it's really refreshing! Thanks :) My whole family loves lemonade too! Yum, surprisingly I haven't hd any lemonade or limeade this summer. This needs to change ASAP! We made limeaid a few daya ago, it was delish! It is such a summer drink! Love the photos of the boys! And I've never made limeade before, so I need to try it! You definitely should try it, it's delicious! Se ve muy deliciosa su limonada casera siempre la tomo en inviero o verano muy saludable,saludos y abrazos. Thanks :) It really is great year round! Yum! I love limeade. We made non-frozen margaritas with fresh lime juice and sometimes I skip the booze altogether and just have the lime juice with simple syrup. I love limeade more than lemonade. I had limeade for the first time when I was in Cancun years ago. Thanks for the recipe and since it's warming back up in Chicago, I might make this, this week-end. I am a bigger fan of limeade too. I love the tartness! Lemonade and Limeade the perfect summer drinks. I love them!! Will try this one as well. Thank you. Love the pics of the kids at the garden. Hope you're having a great week! Homemade limeade sounds so good! Need to remember that instead of letting good limes go to waste. So true, limeade and lemonade are summer in a glass. Thanks for sharing your recipe and photos. They really do taste like summer in a glass! I'm pretty sure drinking something out of a mason jar makes it taste better. I love mason jars :) I have a ton for canning and I love using them as glasses! I don't know if I ever had limeade. Lemonade all the time. Now I have to try this. I agree about the mason jar. Makes it more fun to drink too. I've never made limeade, only lemonade. For some reason, I rarely purchase limeade unless it's called for in a recipe. Then, I only purchase one. I'm intrigued now. Limeade...might need to try it. It's just as easy as lemonade, but a little more tart. I love it! great idea. I tend to buy limes, and never use them! great photos! I have a habit of that too :) That's why I've been making limeade so they don't go to waste!